Another trip down memory lane this week with Penny. This time we spot him on the cover of Beckett in the Nike Air Up. Remember Beckett? If you were a child of the '90's, you probably do. In a simpler time before the internet, cell phones, and reality television, the Beckett sports card price guides may have been an important part of your life. Beckett was the authority on sports card value. Whether you collected baseball, basketball, football, or even hockey cards, they had you covered. How much is the Alonzo Mourning rookie card worth that you just pulled out of a pack? Consult your Beckett! 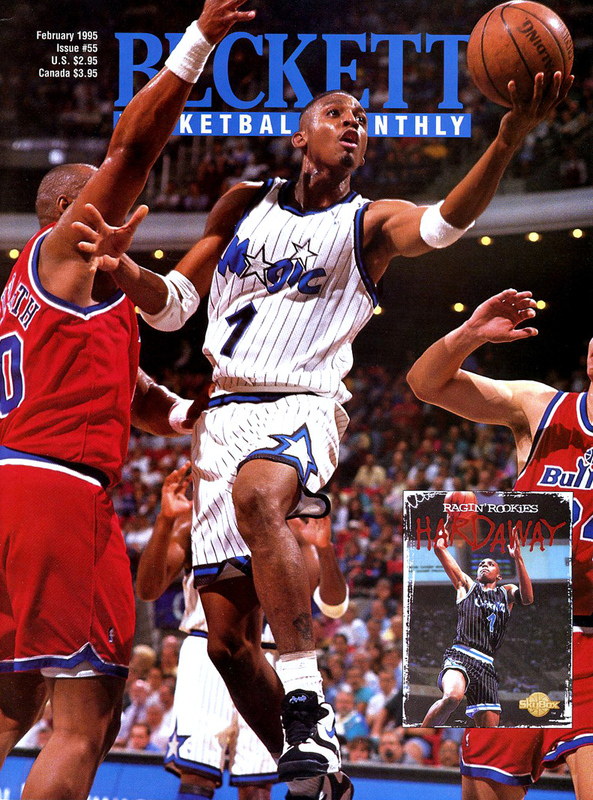 Here we see the February 1995 cover of Beckett with Penny Hardaway wearing the Nike Air Up in the Orlando colorway. The Air Up was a very popular shoe among players that I've spotted on the feet of countless guards and forwards on basketball cards throughout my searches. (Everyone form Eddie Jones to Mark Price.) What is special about the Air Up for Penny is that it's the first shoe he ever had a player edition of. Although this colorway he's wearing on the cover is definitely modeled after the Magic team colors, the Black and Royal "Away" version of shoe had Penny's #1 replacing the Nike Air logo on the heel, making it his first official PE.